Taking an avant-garde approach to creativity, in an ever-changing world. The Ink Collective is a full-service content, design and communications agency established to provide premium, innovative and customisable creative services, available remotely around the world. Dually based in both Paris and Sydney – supported by a hand-picked, international team of talented creatives – we offer flexible, reliable, and high-end branding and content solutions on a global scale, with project management, quality control and deliverables managed end-to-end by our agency. The result is a supremely bespoke service, unencumbered by traditional boundaries – enabling your business to go beyond borders in every sense, via one trusted company. Your INK journey begins with a Q&A consultation in person or on Skype. This gives us the opportunity to get to know you, understand your brand, business goals and future objectives; and discuss the foundations of your project – including scale and ideal timings/budget. This is where we delve deeper into strategy to identify the finer details of your specific content, design and communication needs, set the timelines and budget parameters for your project and provide you with a production schedule for delivery, review and completion. Equipped with a crystal clear concept of what we want to achieve together and how, we get started on bringing your custom project or brand vision to life with our talented global team – weaving our experience and niche expertise together to take your brand further. Equipped with the winning combination of a comprehensive suite of services, extensive experience in niche sectors, and an expansive, curated international network, our agency has the unique ability to offer tailored, seamless and reliable creative support for projects of all sizes, across international timezones and territories. Our boutique approach means we work closely with clients to find the right fit for your specific needs and budget, whether the project is short-term, long-term or ad-hoc. We also work across international timezones supported by local teams – which translates to 24/7 support, no matter where you are in the world. Every expert in our international network has been hand-picked for his/her niche speciality and high standard of work, and vetted by the company. Each project is also supervised and managed by The Ink Collective from start to finish, ensuring consistency and expert quality control across the board. Founded by two Millennials with specific experience in the luxury, fashion and lifestyle sectors, we are particularly in touch with the current demands of the next generation of target consumers, and perfectly matched to offer creative solutions that truly connect, inspire and activate the demographic. Our global network of skilled creative professionals provides a unique point of difference, allowing us to merge international perspectives and sensibilities with local insights on the ground, to deliver tailored solutions that tap into international markets and truly engage target audiences. Daniela Aroche is a trilingual freelance journalist and editor with more than 12 years’ experience in the field of media, communications and editorial strategy. Throughout her career to date, she has worked across a variety of print and digital publications in Australia, the United States, and Europe in the areas of business, beauty, fashion, travel & lifestyle, and international / current affairs. Currently based in Paris, Daniela oversees the agency's editorial and communications projects, and provides strategic PR, media & communications consulting; in addition to undertaking regular freelance assignments and feature commissions for a variety of global publications, and reporting for the international news desk (lifestyle & luxury section) of Agence France-Presse (AFP) in Paris. 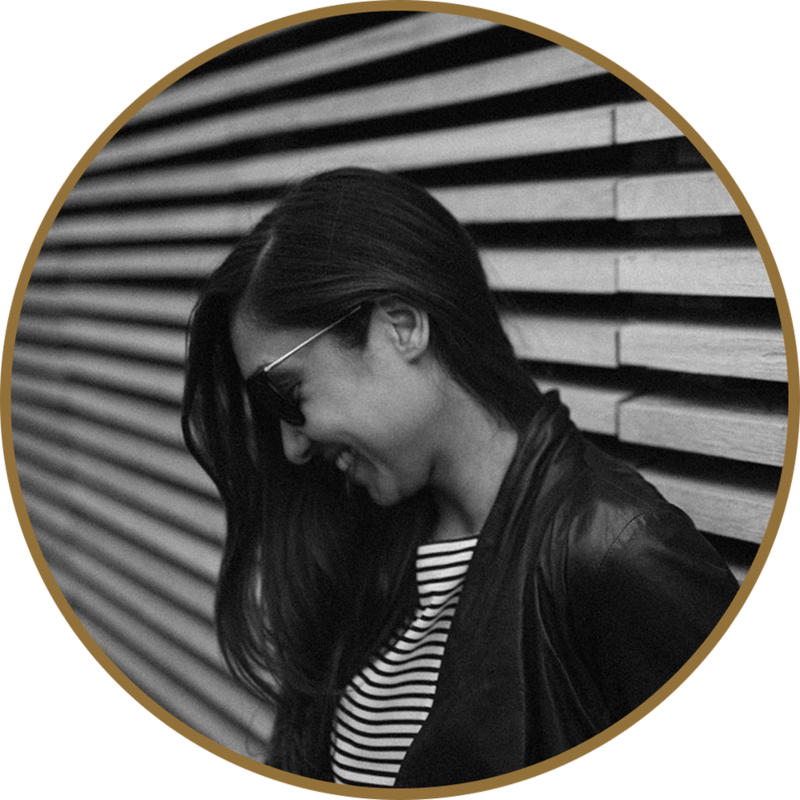 Most recently, Daniela worked as Editorial Director of Luxury Society, the world’s leading business resource for the luxury industry – headquartered in Geneva, Switzerland – where she was responsible for setting the strategic direction of all content and editorial activities on luxurysociety.com, managing its social media channels and suite of writers and photographers, and conceptualising content-led revenue streams for the company's global events and associated brand projects. After surviving the conflicting requirements of schools in Hong Kong, Slovakia, England and the Czech Republic, Rhodri Jones went on to study film production & photography at the Arts University Bournemouth, followed by tourism & business at Bournemouth University – before embarking on a worldwide expedition, honing his craft whilst documenting the lives and cultures of communities in over 45 countries. Equipped with the traits of a triple-threat – photographer, web designer & creative director – and eight years of experience under his bat belt, Rhodri has successfully built an extensive repertoire from his expertise across numerous industries via his distinctive creative style which is recognisable across all formats – with particular focus on photography in the areas of luxury, lifestyle, real estate & travel. Lending his unique artistic vision and wealth of experience to branding and design projects across the agency, Rhodri is now based in Paris, where he oversees an array of creative ventures and develops visual communication strategies for clients around the world, defining and enriching brand journeys through custom photography, brand identity & logo creation, branded packaging and print collateral, and digital platform design (web / mobile / apps). Thank you for your inquiry. We’ll get back to you this week. Our creative support team is dynamic, unique, experienced – and international. Comprised of selected experts from all over the world, we work with an exclusive suite of talented professionals in niche fields – including: award-winning writers and editors, experienced photographers and filmmakers, exquisite designers and digital natives. We believe that global connections fuel growth, opportunity and creativity, so we’re always looking for like-minded partners. If you’re interested in collaborating or joining our team – let us know.